Wakefield Trinity Wildcats have appointed Lee Gilmour as their assistant coach on a two-year deal. 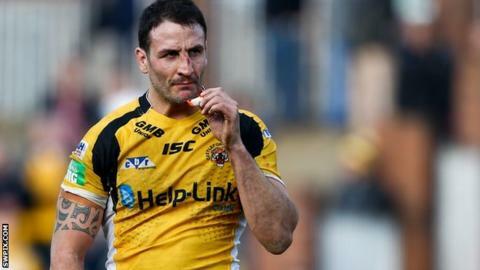 Gilmour, 36, who is currently on loan at the Wildcats from Castleford, will take up the role in pre-season under James Webster. The former Great Britain international will continue to be available as a player next season. "I was looking to play for one more year and tie it in with coaching, this is ideal," he told BBC Radio Leeds. "I think I have fairly similar ideas to James in terms of how we want the game to be played and I think that is important. "I've coached amateurs before, so it won't be totally new to me and I have worked under quality coaches in my time as a player."